NYSE, WSJ site, and United Airlines: All three major operations experience technical glitches on the same day, prompting speculation. 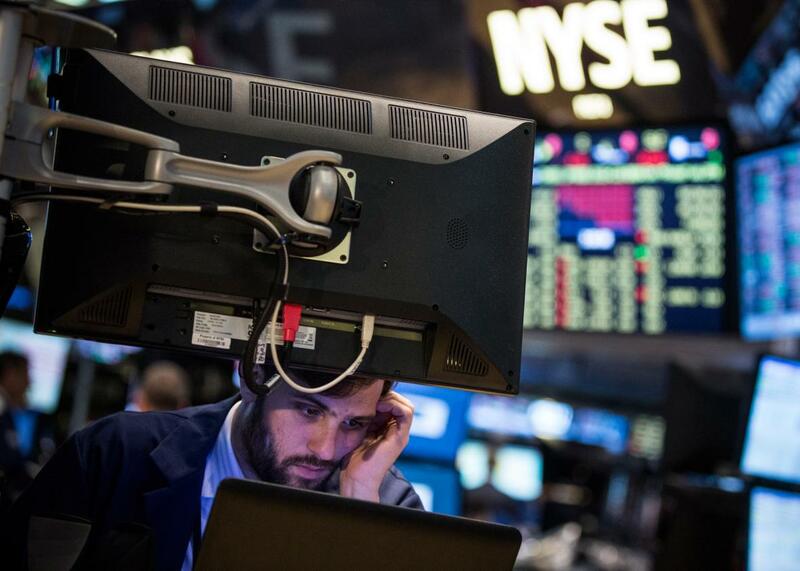 The New York Stock Exchange went down at 11:30 a.m. Wednesday. All trading on the New York Stock Exchange floor was unexpectedly halted Wednesday due to a technical issue, according to officials. Around 11:30 a.m. ET, trading in all symbols was stopped, resulting in the cancelation of all open orders—a highly unusual event. The NYSE is one of the world’s largest stock exchanges. While markets have experienced minor downtime due to glitches in the past—in 2012, technical problems notably delayed Facebook’s debut on the Nasdaq exchange—they rarely are affected on such a large, and lengthy, scale. Nearly 45 minutes after the outage, the problem was still unresolved and little information was provided about the cause. Stocks traded on the NYSE continued trading on other exchanges such as the Nasdaq. Federal law enforcement agencies monitoring the situation told the New York Times that there is no indication of anything malicious. But the NYSE’s technical troubles came on the same morning that United Airlines flights were grounded nationwide for “automation issues.” In addition, shortly after the stock exchange went down, the Wall Street Journal’s web site started reporting technical difficulties. “WSJ.com is having technical difficulties. The full site will return shortly,” said a notice on the publication’s web site as of 12:20 p.m. Though the trio of technical issues at these major organizations does not appear to be connected, speculation about potential linkage was rampant on Twitter and other sites. The #NYSE and @WSJ have been shut down. All @United flights are grounded. If Twitter goes down I'm going to lose my mind. NYSE halts trading, United cancels flights, WSJ site down, all citing "technical difficulties". Doesn't sound like a coincidence. NYSE and United Airlines are shutdown due to technical issues and the cable is out at work. What time is the nuclear strike from SkyNet? Slate will continue to monitor the situation and update the story as news develops. Update, 12:46 p.m.: The New York Stock Exchange posted on Twitter that it is experiencing internal technical issues, not a cyber breach. (2 of 3) We chose to suspend trading on NYSE to avoid problems arising from our technical issue. (3 of 3) NYSE-listed securities continue to trade unaffected on other market centers. Update, 3:11 p.m.: The New York Stock Exchange reopened at 3:10 p.m. ET after an outage of more than three hours.